As weird as it is to get back to “normal” after all the stress and worry about Hurricane Irma, after returning home to St Pete Tuesday night it seems like it’s time to get back in the groove. I’m so thankful that my home here sustained no damages other than trees & branches down and still being without cable or internet (yep it makes blogging a challenge!!). With all the cell towers we lost too it’s been impossible to even get 3G service in my apartment, so last night I had to stand in our back patio to post an Instagram- ha! The things we do for social media… 🙂 I also wanted to make sure y’all knew I’m running a fun little giveaway on my Instagram! All you have to do is go to this post, be following me (here), and tag a friend in the comments. That’s it! I’ll pick a winner Fruday at noon to send a special surprise to for some happy hour cheer! 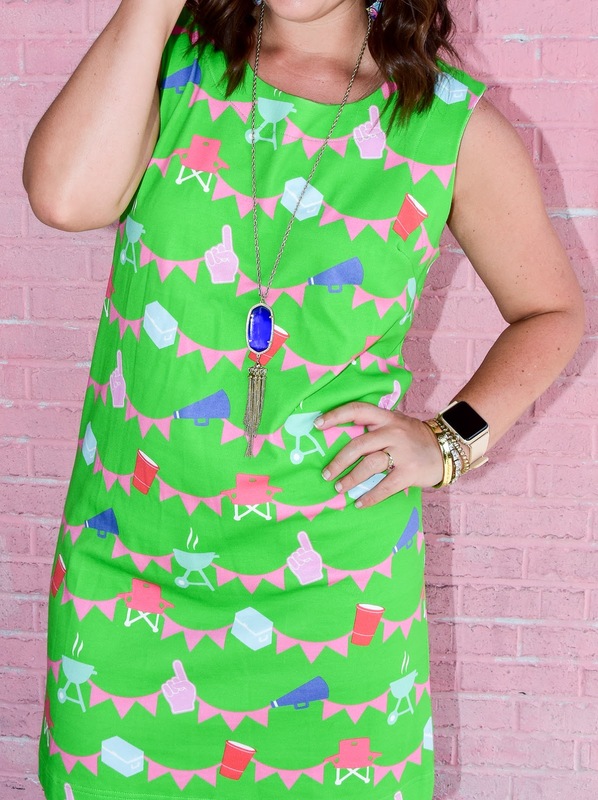 Ashley has one dress in this print left, so email her if you want to make it yours & check out the rest of her gorgeous designs here! Have an awesome Thursday y’all! Can’t believe the weekend will be here tomorrow night- I’m already ready! Love love that dress ! Looks perfect for a game day tailgating with friends ! Have a great Thursday 🙂 We love football and we'l be cheering on our favorite teams this Saturday ! I'm so glad to hear that there wasn't any major damage! 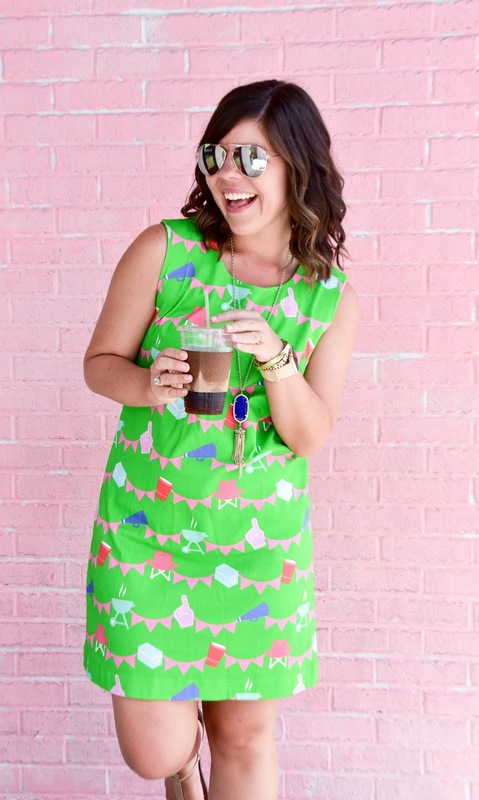 This dress is SO adorable! 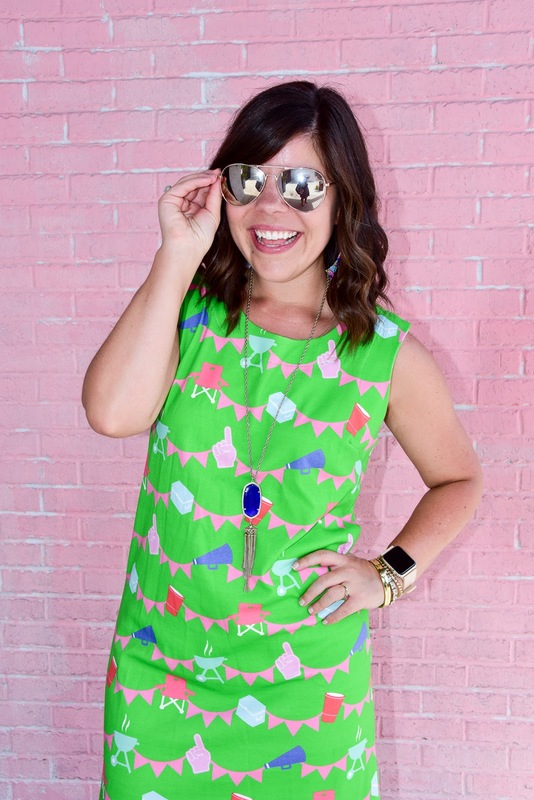 I can't get over the print! Glad your home is okay!! 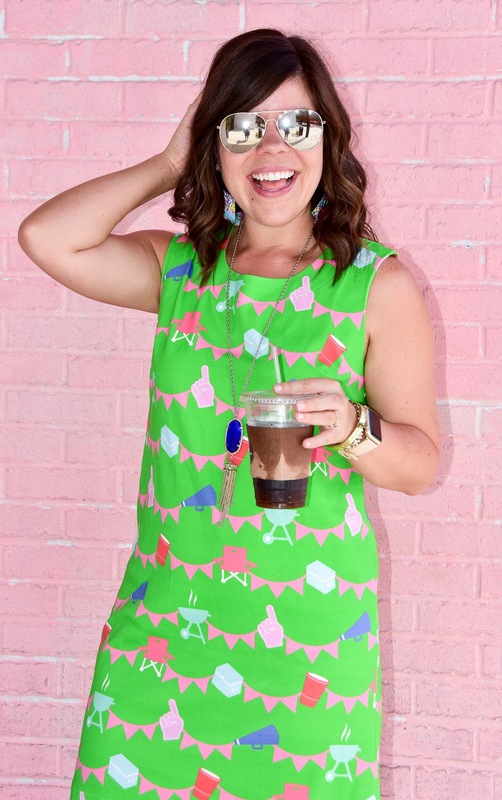 And that is THE perfect dress for tailgating, that print is too fun! 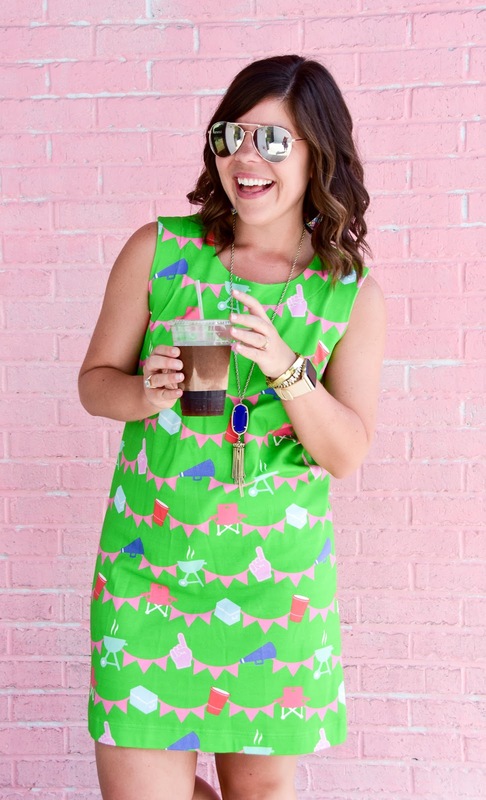 Obsessed – I love how in the south you guys wear dresses to tailgate – always so cute! Although it's going to be warm here Saturday and I don't have a ton of navy pregnancy tops so I may be going in a dress to the game! So cute! I love how all you southern girls get so dressed up for football! Up here in PA we wear jeans and tshirts, and by the end of the season when it's freezing, coats and gloves! 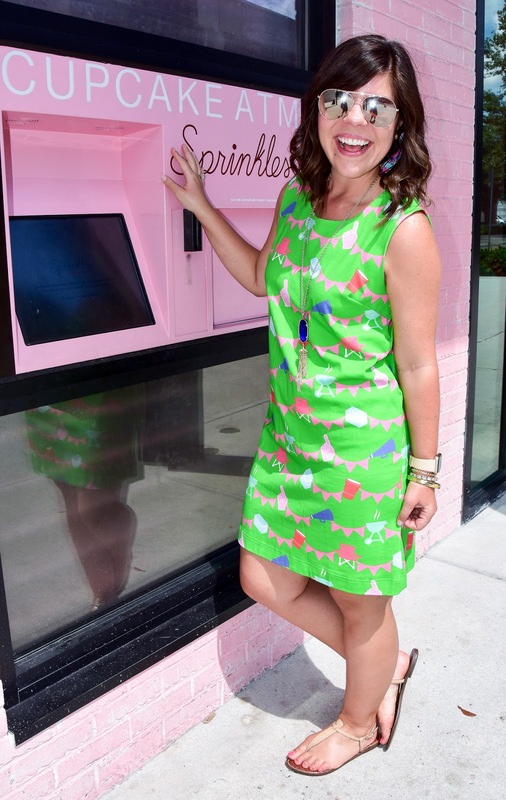 I'd love to wear a cute dress like this! Such a cute dress! It looks great on you! Love it!